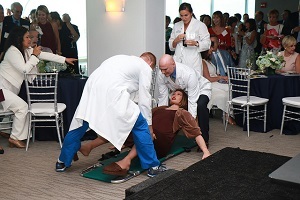 In August 2016, Florida Atlantic University's Charles E. Schmidt College of Medicine hosted the White Coats 4 Care reception in Boca Raton, Florida as medical students received their first white coats. 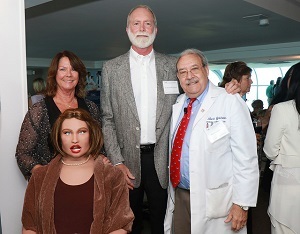 Among those in attendance were donors ( Dr. Kenneth Folsom and his wife, Martha), and CAE Athena, the high fidelity patient manikin which was bestowed upon the college due to the Folsom's generous gift. The event began by thanking Dr. and Mrs. Folsom for the financial gift that allowed the college of medicine to purchase Athena. Then, a slight twist ensued. The manikin began to shout, "can someone help me? My chest hurts!" For the sake of the simulation scenario, Athena becomes "Martha." Medical students quickly spring into action, tend to Martha, and provide her with necessary medical aid. The students placed "Martha/Athena" on a stretcher and positioned her on a table in the center of the large banquet room. 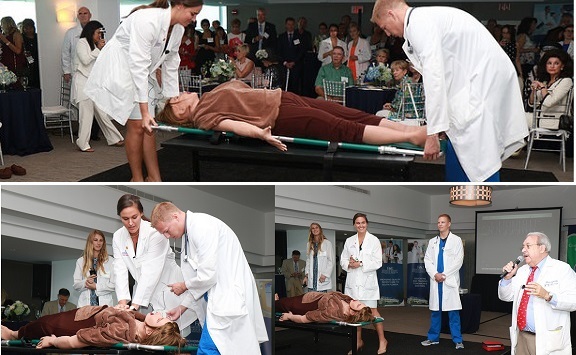 The guests were captivated and mesmerized by the scenario, watching as the patient simulator was given medical attention as though she were real. Mark Goldstein, Senior Director of Simulation Center and Technology, narrated events as they unfolded. The students calmed the patient, checked the patient's vitals and administered care by defibrillating the simulator with an AED. As a result of their actions, the patient was soon resuscitated. The manikin began breathing again. Her eyes were blinking and she was speaking to her medical team. The simulation was a success as medical students were able to perform a routine resuscitation on a patient simulator, demonstrating the utility of learning patient care techniques with a high fidelity manikin. In the end, there was the expectation that after having witnessed the simulation experience in real time, prospective donors to the college might see their way to supporting the simulation center by donating additional funds for more medical simulation equipment for FAU's College of Medicine. Could your training program benefit from a patient simulator like Athena?